With the ongoing popularity, Nepalese market has seen lots of latest Huawei sets this year. We have come up with updated Huawei Mobile Price in Nepal for 2016. Please consider that this is only for information purpose and since the price list is in Maximum Retail Price, you may find slight difference in between price mentioned here and the price that the local mobile houses charge. We regularly update the Huawei mobile price list. So, remember to check in before dropping by the store for purchase. Do not always go for price. Read the features, specifications and reviews on Huawei sets carefully and confirm that the set serves your purpose and most importantly, it fits in your budget. It is not always the best idea to copy your friends. You can also get latest price information from Huawei authorized dealer. 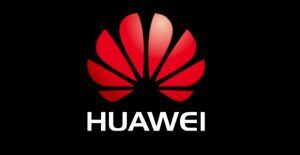 Our next blog will be on Authorized dealers and sales service support center of Huawei in Nepal. Mobile price differs in course of time. Please correct us by commenting in the post if you feel the price list needs correction. You can also visit the official Huawei Nepal website for recent changes in price.